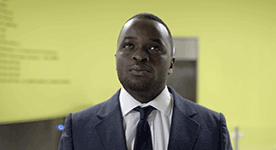 City Lights, the award-winning short film starring Femi Oyeniran and supported by Film London, has played at many major international festivals. It is now available to watch online. Click the image to watch it/learn more. 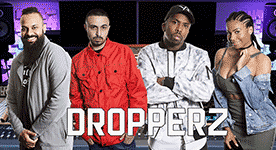 Dropperz is a comedy in which a struggling grime group persuade their record label boss to let them film in her house only for chaos to ensue when a dog belonging to one of them kills the family pet. Click the image to watch. The Sun Worshipper is a very short comedy in which a man has his lunch interrupted by a woman, who wants to sunbathe toplessly. He must take action if he is to get what he wants. Click the image above to watch the film. Heaven's Secret is a drama narrated from beyond the grave by a young traveller who has been kidnapped and murdered in the jungle. It is inspired by a true story. Click the image above to learn more and watch the full film. Ed Wiles started off in production before moving into screenwriting and then directing. He is currently developing various TV and feature film projects. City Lights, a romantic comedy, sees a nighttime security guard find a unique way to attract a cleaner opposite. Click image to watch it. Dropperz is a comedy about a grime group who land themselves in trouble when a dog belonging to them kills their record label's pet. Heaven's Secret, a short drama about a kidnapping in South America, was inspired by a true story. Click the image to watch it. 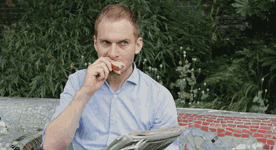 The Sun Worshipper is a very short comedy in which a man has his lunch interrupted by a sunbathing woman. Click the image. Ed Wiles started off in production before moving into screenwriting then back into production as a writer/director. He is currently developing various TV and feature film projects.